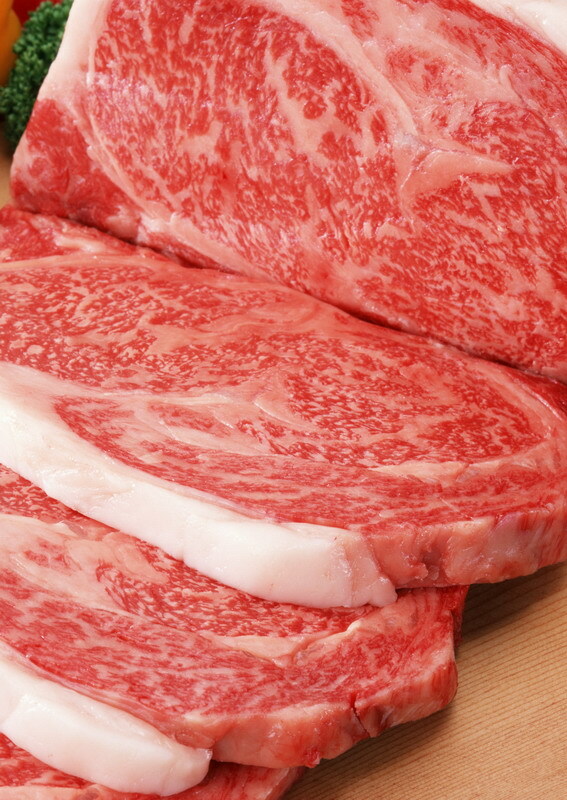 There is a plethora of literature about the problems of eating red meat particularly related to cardiovascular disease. The American beef industry has spent millions of dollars in advertising to promote its product and convince the public that its product is not the "bad guy" the medical literature contends. The problem rests in the mismatch between what dominates the grocery cooler cases today and what our not so distant ancestors consumed regarding red meat. Research by Weston A. Price on native societies around the world exhibiting markedly better health than modern humans revealed that these native peoples ate significant amounts of red meat. Native Eskimos also consume considerable amounts of red meat, yet they and the native peoples studied by Price experience little or no heart disease. One must ask how this is possible, as cardiovascular disease is the number one killer in modern society, and it seems that Westernized cultures that eat the most red meat have the highest rates of heart disease. The answer is really quite simple if one looks at the meat that most people today consume and the method cattle are raised. Looking at the standard nutritional facts from nutritiondata.self.com: A 308 gram piece of beef is credited with being high in protein and saturated fat (20% total fat, 21% of this fat being saturated fat), having zero omega-3 fatty acids, no vitamin A, and no vitamin D, K or E. Never discussed is the fact that this "standard beef" is all grain fed cattle meat, and nowhere in nature do cattle, or any ruminants for that matter eat such quantities of grain and little forage. Never discussed in this standard data presentation is the fact that the meat merely reflects the diet of the animal from which came the meat. This model is promoted from the "USDA Prime corn fed beef" ad campaigns to the corn and soybean growers association campaigns to promote such consumption of corn and beans to perpetuate their commodities markets. Nothing is ever said nor considered regarding the true health of the animals and most importantly the consequential health of the consumer. The medical and epidemiologic literature is prolific and quite clear that consumption of red meat (grain fed red meat) is heart disease and cancer promoting. Study after study shows a direct association between incidence of cancer and cardiovascular disease and consumption of red meat (grain fed red meat). When one researches the nutritional value of grain fed red meat, it is clear and of no surprise why there is such a correlation between consumption of red meat (grain fed) and human disease; in fact the top two killers of western society. Health is about nutrition and lifestyle. The health of the consumer reflects the diet of the consumer. The diet of the consumer reflects the choices of the consumer, the market presence of consumables which the consumer can purchase and the demand. Most recent medical literature suggests that a low glycemic diet plus anaerobic exercise and hormone and metabolic balancing is the most healthy/healthful lifestyle. A low glycemic diet can take many shapes. The Atkins Diet, very much in vogue in past decades, is a low glycemic diet, definitely allowed people to lose weight, and altered body chemistry. Many researchers do and did not consider the Atkins Diet healthful as it was dominated by consumption of red meat (grain fed) and consequently saturated fat. What is rarely distinguished by doctors and consumers of the Atkins Diet is the foods that make up the low glycemic diet. One can be vegetarian and eat a low glycemic diet. A low glycemic vegetarian diet dominated by genetically engineered soy protein will be as or perhaps more pro-inflammatory and disease inducing than the standard meat-filled Atkins Diet. What must be appreciated and addressed is the components that make up any diet, whether vegetarian or omnivorous. Regarding this specific discussion about red meat, we will make the differentiation between the standard feedlot grain fed beef vs. highly mineralized/high brix grass fed beef. The difference is as obvious and distinguishing as the difference between an East German Trabant and a new BMW or Mercedes sports car. A word of clarification is needed before proceeding. Grass fed beef is not all the same. There are many grass fed beef operations that feed a lot of grain, but because a percentage of the animal’s diet is grass, the farmer can claim grass fed. Many grass fed animals are grass fed up to a point and then sent to the feed lot to get fattened with grain before going to market. It is contended that this is what the market, the consumer wants, the fat, juicy steak from grain fed animals. Well, many people also like Twinkies, chips, donuts, candy, cocaine, heroin and marijuana. That doesn’t mean these things are good for their health just because they are addicted to them. More importantly, healthy grass fed meat is tender and juicy as well with much less fat. It is like comparing whole grain bread to white flour bread. The two are quite different in texture and nutrient value. Just because a large percentage of the population has gotten addicted to white bread, does not mean it is good for them, nor that there should not be whole grain bread as a choice to which they should change. The same goes for beef. High brix grass fed (nutrient dense grass/forage) produces healthy, nutrient dense meat. That is the point that must be made here and distinguished here. Nutrient rich grass fed meat, unlike grain fed meat, is high in omega-3 fatty acids and high in CLA, a beneficial omega-6 fatty acid; it is a good source of vitamin A and E, where grain fed is not. 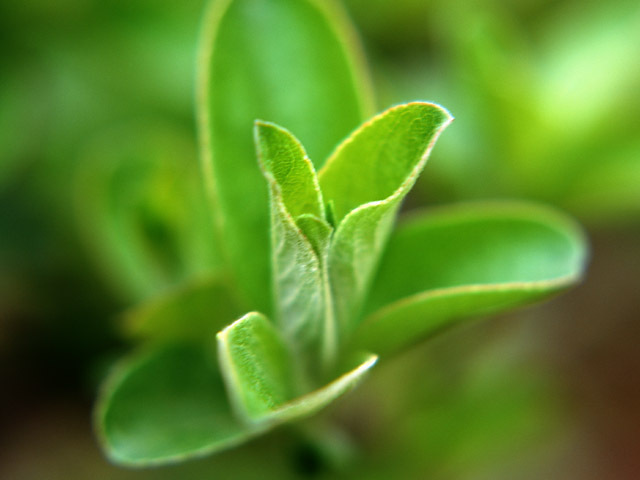 It is a richer and more balanced source of trace minerals. It is void of synthetic growth hormones and feed antibiotics, while grain fed meats are not. Nutrient rich grass fed meats have much less chance of having residual levels of glyphosate, while grain fed meats have a high chance because the glyphosate is coming though in the corn, soybeans and distillers dried grain in their diet. Nutrient rich grass fed meats come from conscientious grazing farms where soil and pasture nutrition is directly addressed, where animals are given free choice minerals and often kelp, as the animal will intuitively eat what it needs to be healthy if provided the choice. These beef would be akin to what we would expect in meat quality from wild moose and caribou in the Northern forests and tundra. These wild meats are very lean, as what fat is present is high in omega-3 fatty acids, and rich in vitamins and minerals the animals accumulated from their varied grazing and browsing diet. The good grass fed beef farmers recognize these needs and seek to duplicate the wild nutrient supply for their grazing cattle as much as is humanly possible. Nutrient rich grass fed beef is health food for the omnivore. As Weston A. Price found in his worldly travels studying native cultures, healthy, nutrient rich red meats are a part of a healthy society. It is only when man intervenes with ulterior motives and adulterates the dietary program, actually force feeds an unnatural dietary regimen (a diet predominantly grain for ruminant animals), does red meat become an unhealthy component in the human diet. Dr. William Albrecht of the University of Missouri was a pioneer in proposing the concept that healthy soil is the foundation of health for plants, animals and people. The increasing demand for natural grass-fed beef raises the question – Is grass-fed beef really healthier and better tasting than conventional feed-lot beef? Consider some facts about the ‘feed-lot’ beef that most folks eat. While many of these animals are allowed to graze when young, the finishing or fattening process that starts a few months before slaughter requires a ‘hot’ ration – based on corn and soybeans and high in protein and carbohydrates. A ruminant animal is designed to eat grass, not a high grain ration. The digestion and metabolism of these ‘un-natural’ feeds results in an accumulation of toxic byproducts. As the body tries to detoxify and excrete these toxins, liver cells are damaged, and scavenger bacteria invade the damaged liver cells and cause abscesses. Some studies estimate that 40%+ of feed-lot cattle are affected by these liver abscesses. At slaughter, the abscessed livers may be condemned, but the meat enters our food chain. To combat this problem, animal scientists have found that you can reduce the incidence of abscesses by feeding antibiotics and other growth stimulants. Adding insult to injury, the moderately unhealthy carcass is now also tainted with chemical residues from the treatment. Many consumers prefer steaks from these animals not realizing that the tenderness is due to water retention and high fat content. Organic beef fed hot organic rations still have some of the same problems, but, of course, without the antibiotic residues. Another problem: The corn and soybeans that form the bulk of feed-lot rations are rife with contaminants of genetically modified plants and the associated glyphosate herbicites used in their production. There is ever increasing evidence that GMO contaminants are harmful to soil health, to plant health, to animal health, and ultimately to human health. In contrast to the above, grass-fed beef is produced by animals that eat grass only – no grain, not even as fillers in mineral supplements. Albrecht’s precepts apply here, and the better the soil, the better the plant forage, and the healthier the animal. The excellence of this mode of production is somewhat hindered by the fact that most of our soils are depleted in minerals – especially trace minerals. Grazing animals are subjected to varying degrees of confinement related to the size of the pasture plots. These two factors make it imperative that grass-fed animals have access to supplemental minerals. If the soil is highly mineralized, the animals will consume less free choice minerals. The best way to insure that grazing animals have adequate minerals is to provide a variety of separate minerals and trace minerals, free choice or cafeteria style. This allows them to utilize their intrinsic nutritional wisdom to balance their needs when given the choice. Most chemical reactions in the body are governed by enzymes. Trace minerals are at the heart of enzymes. Thus, in one sense, trace minerals are the spark plugs that energize the metabolism of any organism, whether a beneficial soil organism, a plant, an animal or a human. High mineralization equals health. • Grass-fed beef is healthier, as it avoids the dangers associated with hot, feed-lot rations. • Grass-fed beef is highly mineralized, tastes better, and doesn’t need salt or MSG to enhance the flavor. • Grass-fed beef production is kinder to the environment and more economical. Food from animals raised in "organic, free-range and pasture-based systems" provides better nutrition for humans, according to a report issued this week by Compassion in World Farming (CIWF) (Results of this report are summarized below). The report analyzes data from 76 scientific studies, and concludes that "meat, dairy and eggs from higher welfare farming often contain higher levels of key nutrients and less fat than animal products from factory farm systems." Food from animals raised in "higher" welfare conditions provides better nutrition for humans, according to a report issued this week by Compassion in World Farming (CIWF), a group that seeks to "end all cruel factory farming practices." The report, "Higher Welfare Animals Produce More Nutritious Foods," analyzes data from 76 scientific studies, and concludes that "meat, dairy and eggs from higher welfare farming often contain higher levels of key nutrients and less fat than animal products from factory farm systems." The group identifies higher welfare farming to include "organic, free-range and pasture-based systems and use of slower growing breeds." Specifically, Compassion in World Farming claims higher welfare animal products are lower in fat content, higher in levels of Omega-3 and higher in levels of antioxidants. CIWF concludes that "a life worth living equals food worth eating." "The compelling results in our report indicate that raising animals in high welfare systems can have nutritional benefits for people," Emily Lewis-Brown, research manager at U.K.-based Compassion in World Farming, the group that produced the report, said in a press release. • Pasture raised beef has 25 to 50 percent less fat, up to 430 percent more Omega 3s, and as much as 700 percent more beta-carotene. • A free-range chicken may have up to 50 percent less fat than an industrially farmed one, up to 565 percent more Omega 3s, and free-range eggs have up to 100 percent more vitamin E and 280 percent more beta-carotene. • Free-range pork has up to 200 percent more vitamin E and up to 290 percent more Omega 3s. CIWF says farm animals are "sentient beings with the full capacity to experience both wellbeing and suffering. In the drive for cheap animal protein, billions of animals endure the barren confinement of factory farming systems." Visit Compassion in word farming (CIWF) http://www.ciwf.org.uk/your_food/nutrition.aspx for the full report.